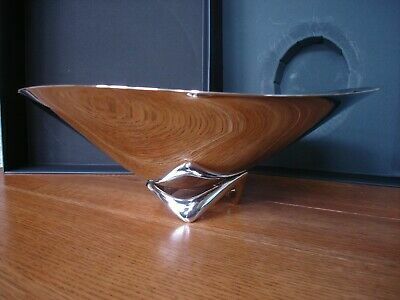 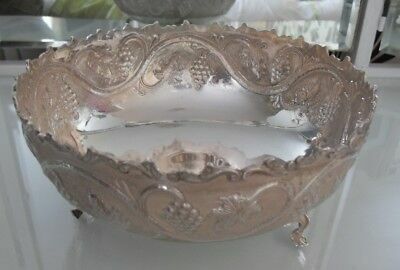 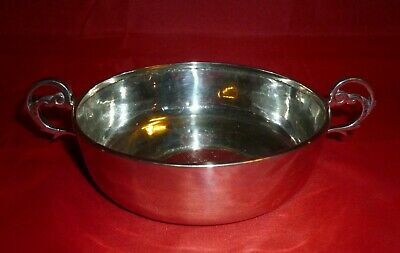 Vintage 800 Italian solid silver bowl. 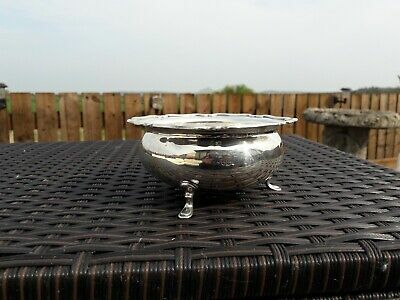 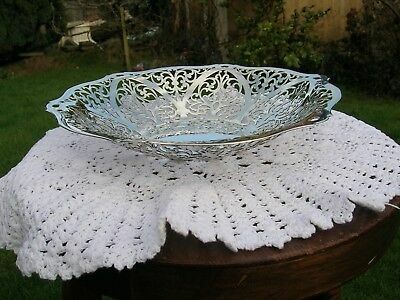 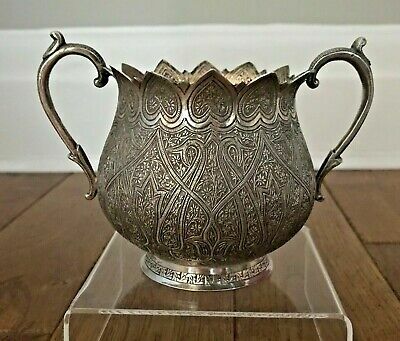 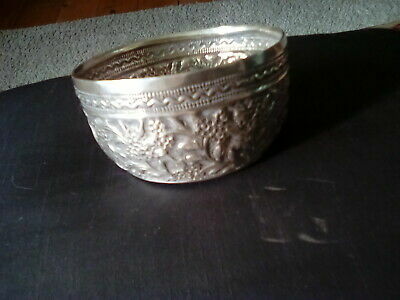 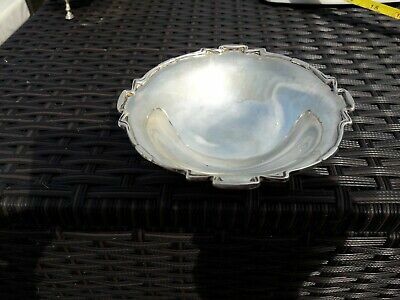 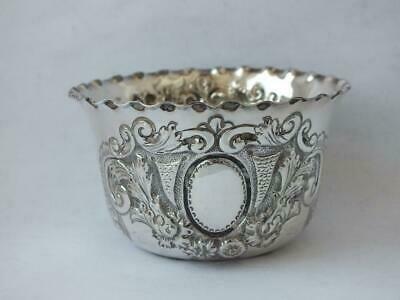 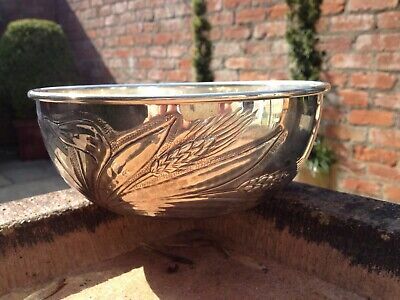 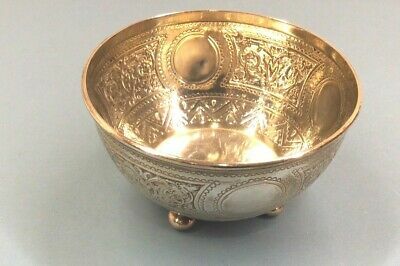 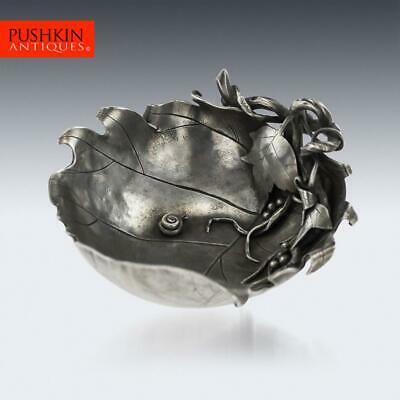 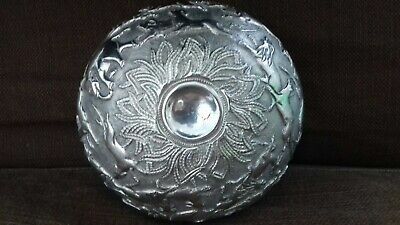 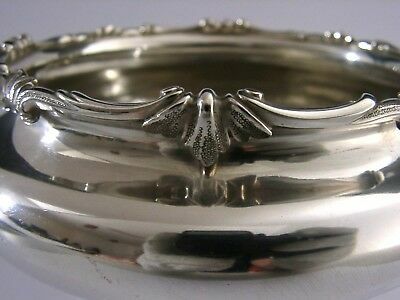 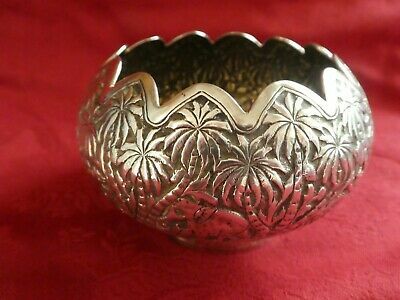 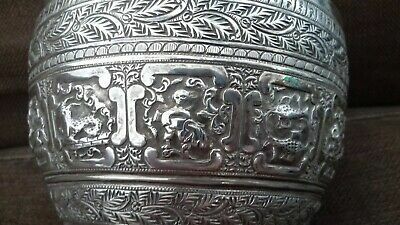 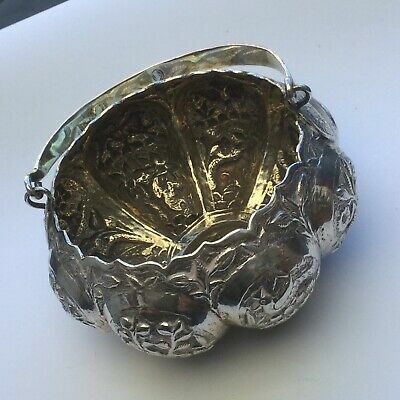 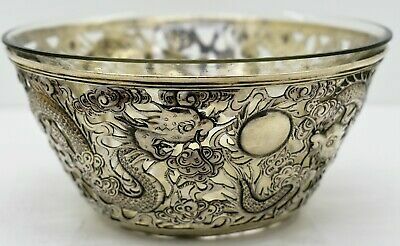 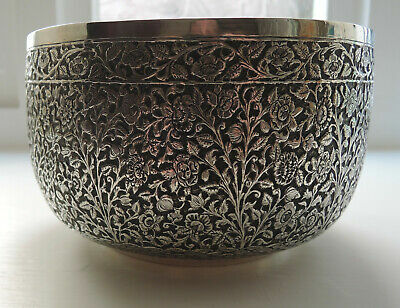 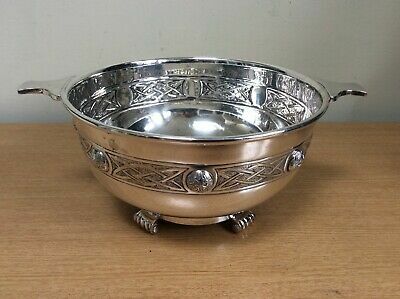 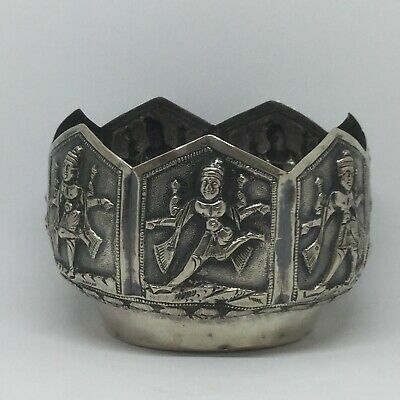 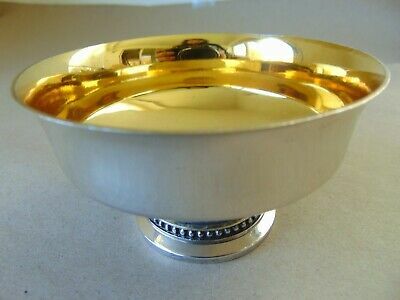 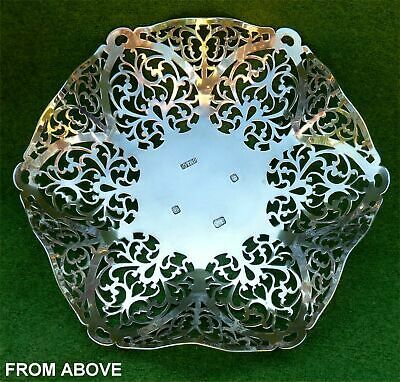 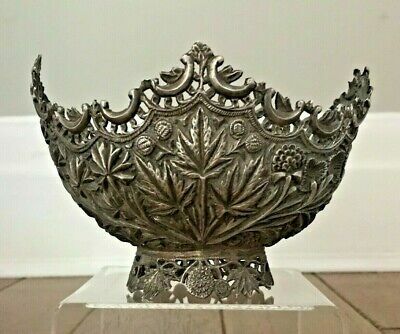 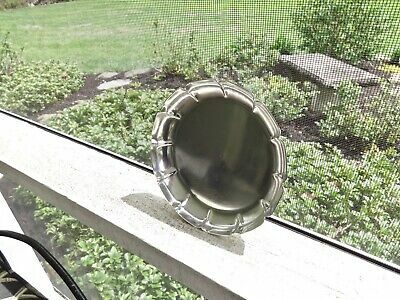 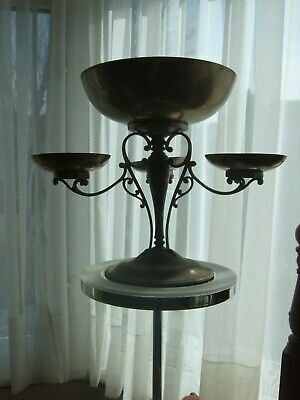 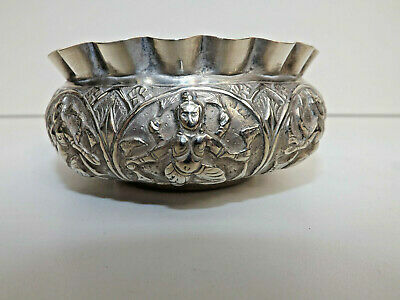 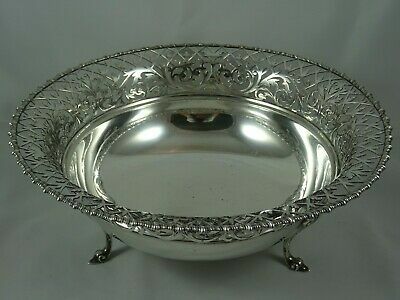 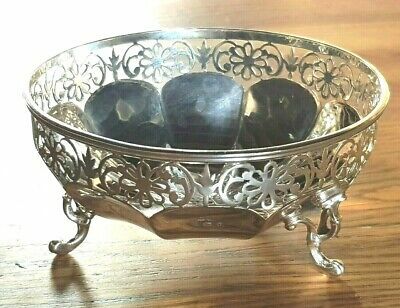 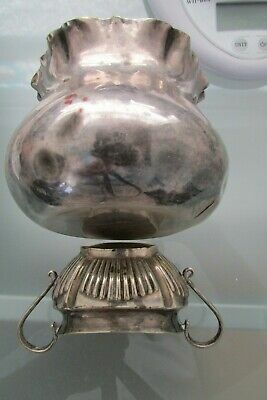 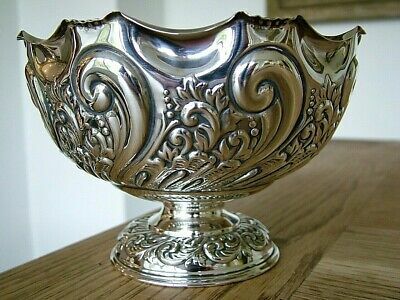 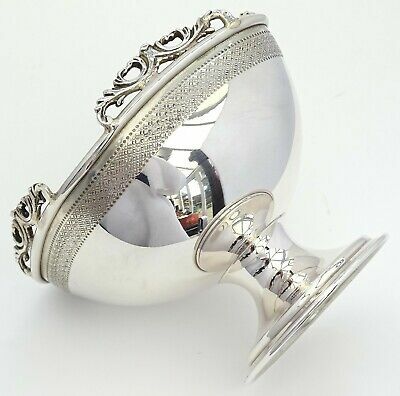 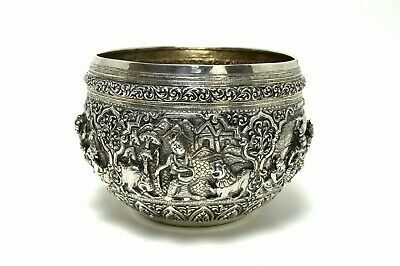 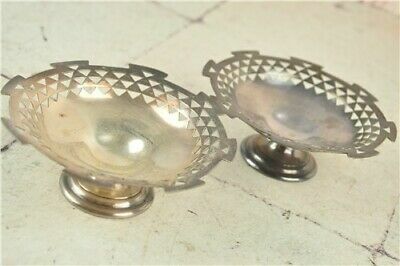 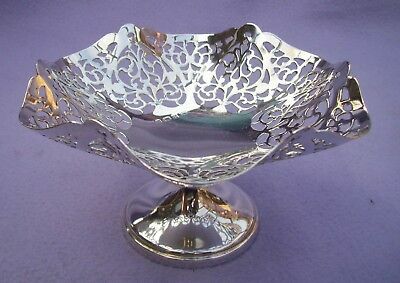 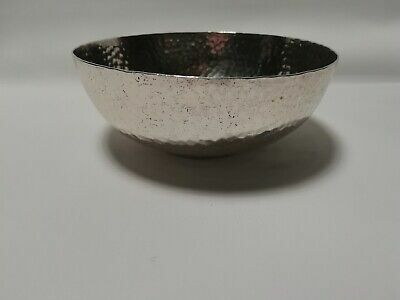 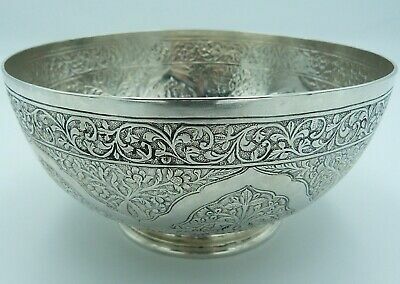 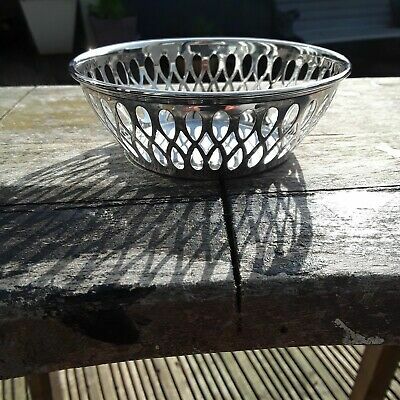 Stunning ANTIQUE PERSIAN / ISLAMIC / INDIAN KUTCH SOLID SILVER BOWL. 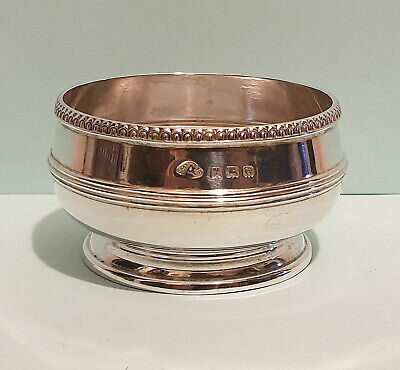 395g. 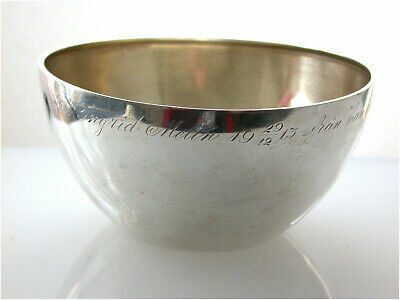 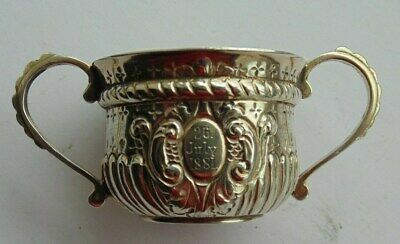 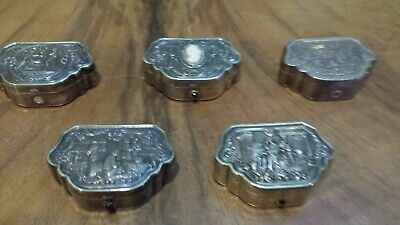 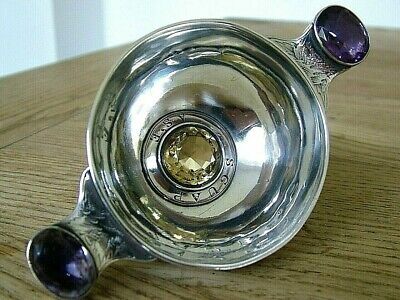 Masonic Rare Solid Silver Victorian Horoscope Bowl 1872 London J Lias & Sons. 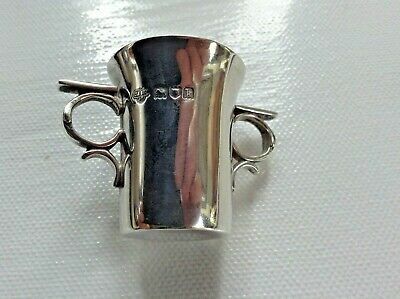 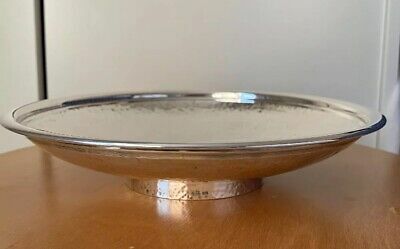 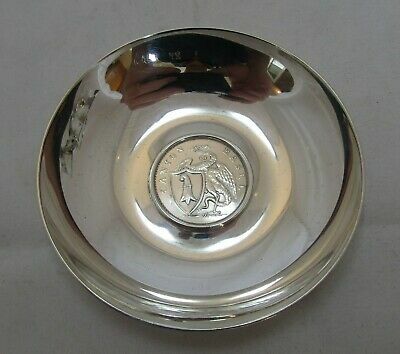 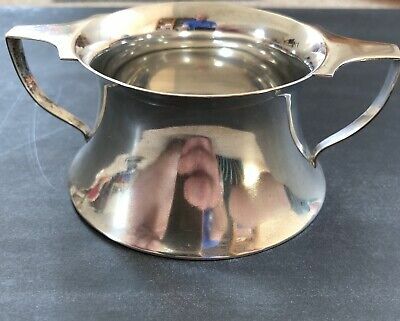 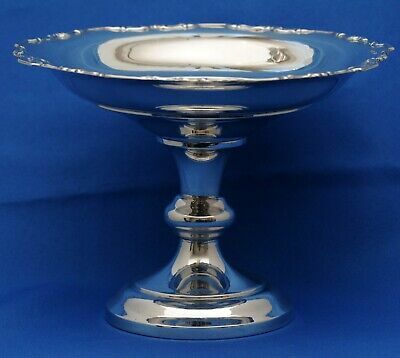 Large Solid Silver Tazza Birmingham 1926 271 grams Sanders & Pedlingham ? 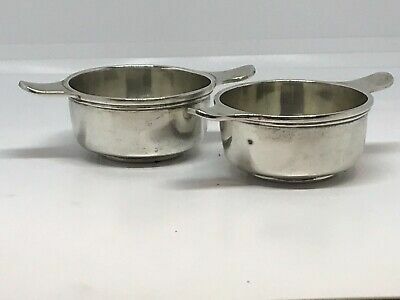 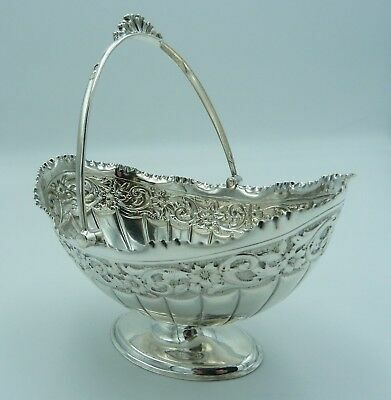 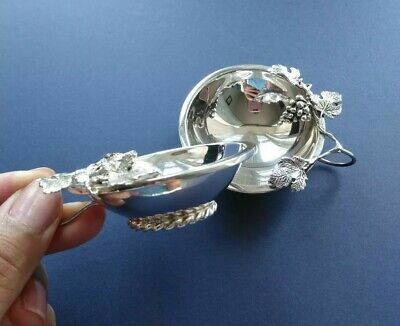 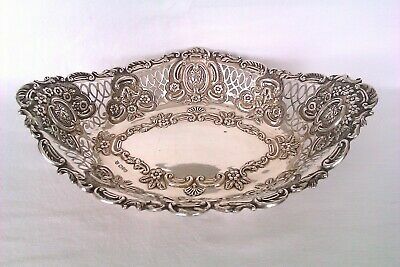 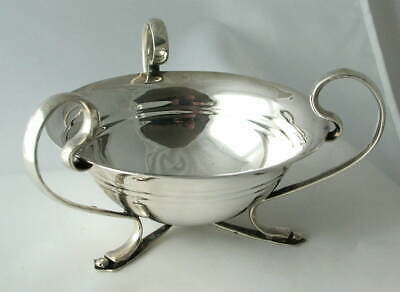 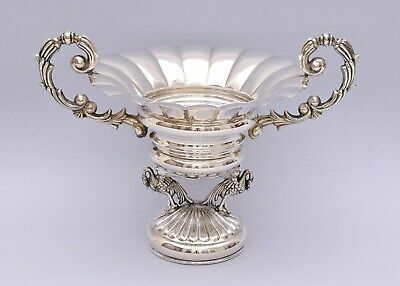 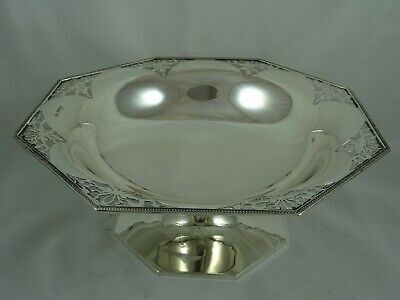 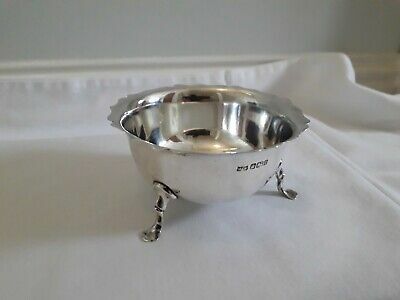 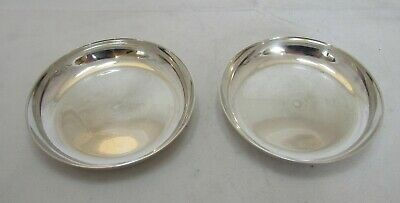 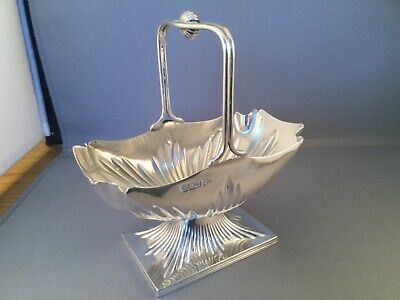 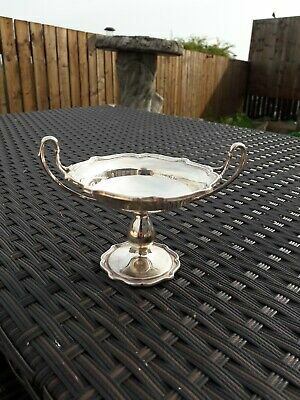 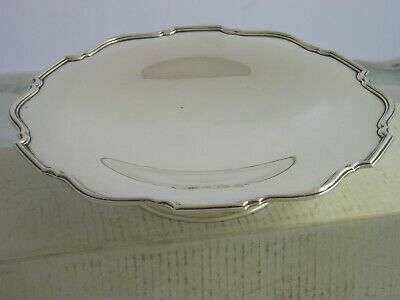 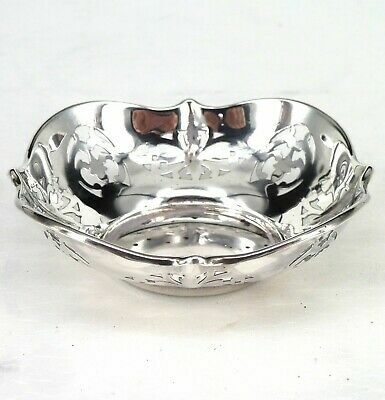 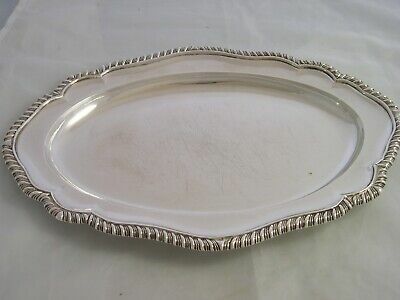 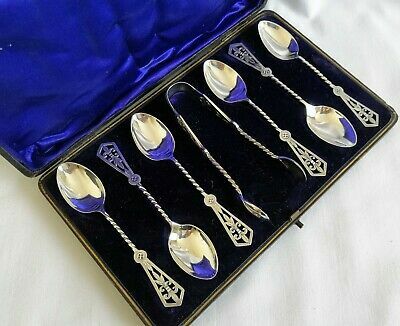 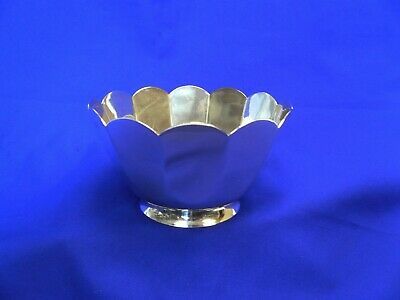 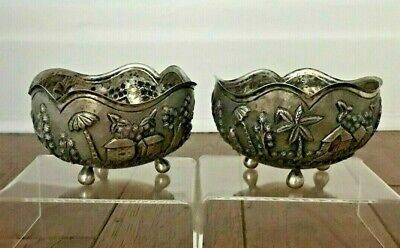 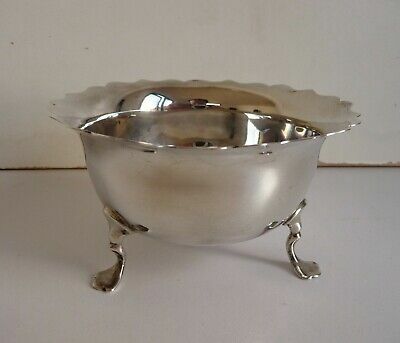 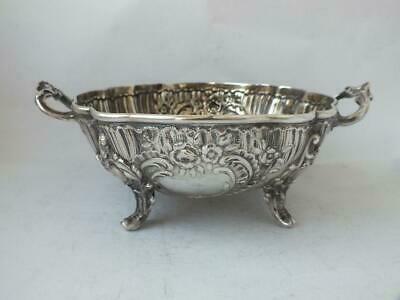 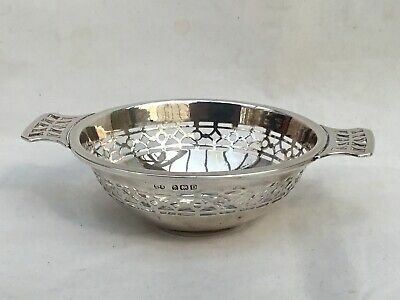 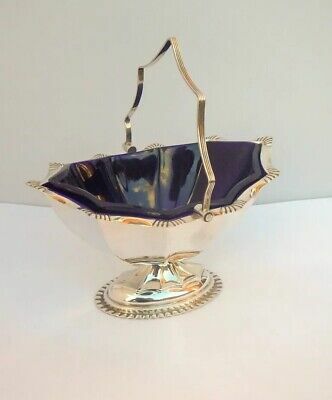 Vintage Twin Handled Silver Bonbon Dish - Birmingham 1961 - 100 gms. 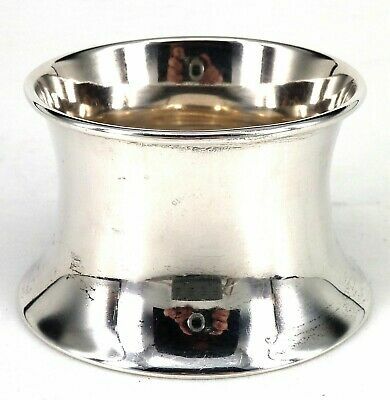 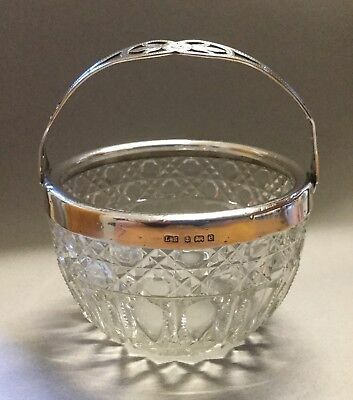 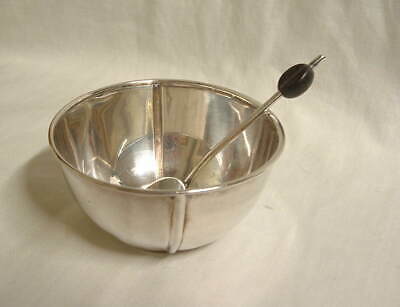 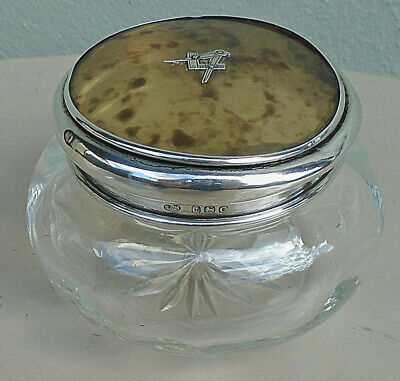 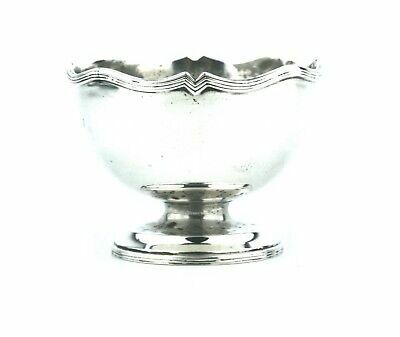 Solid Silver Rimmed Glass Swing Handle Bowl 1904. 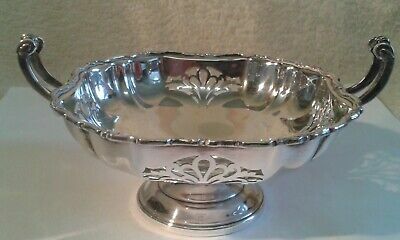 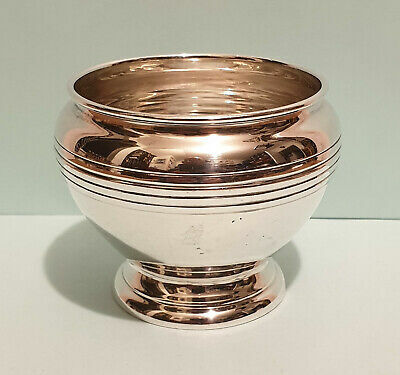 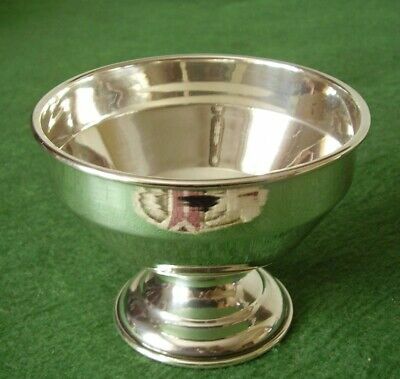 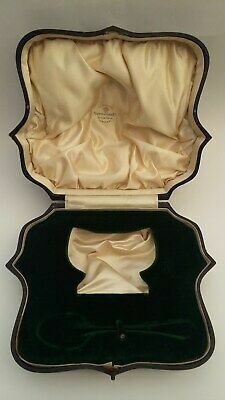 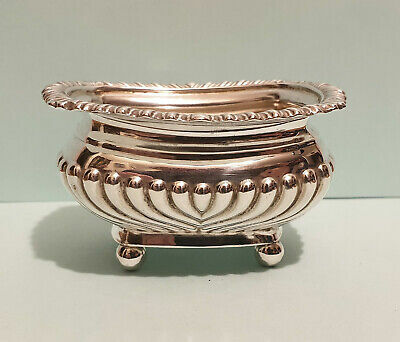 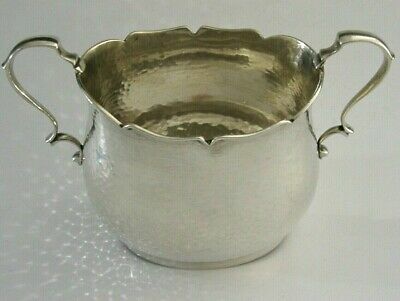 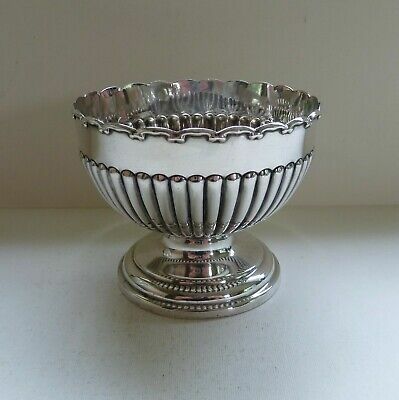 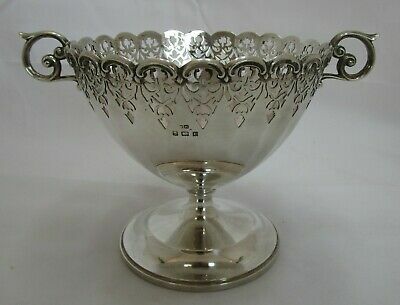 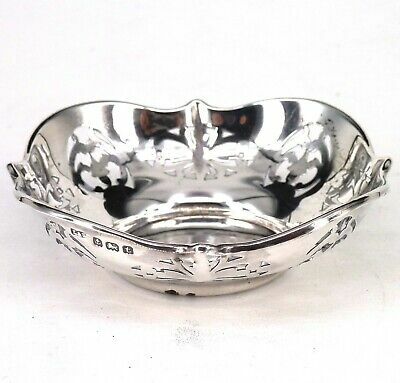 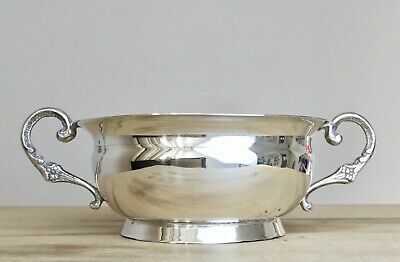 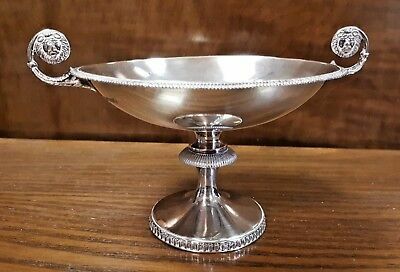 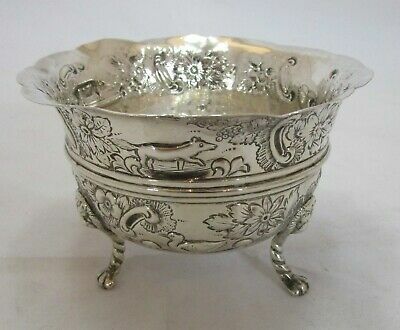 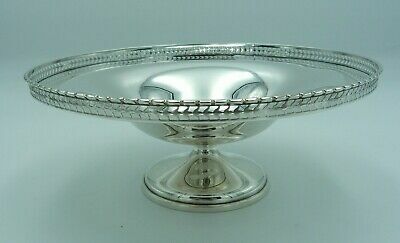 Mappin & Webb Solid Silver Bowl 1902. 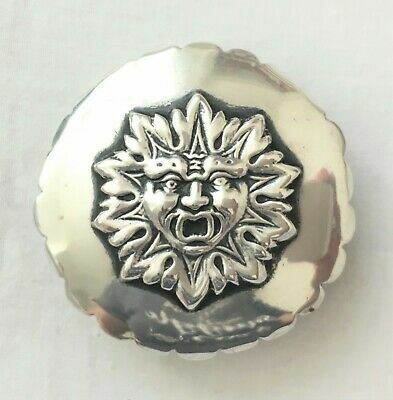 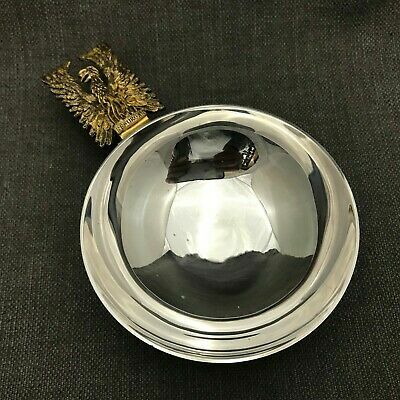 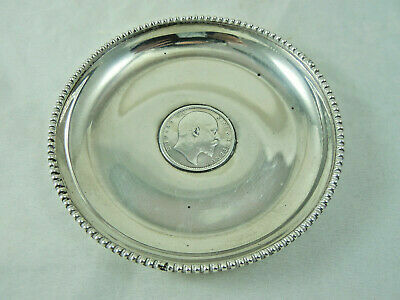 Antique Silver Bowl With Central Edward Vii Silver Rupee Coin 1903. 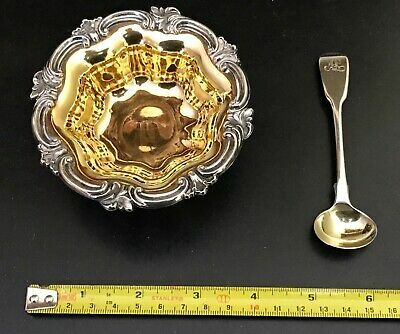 92.6 Grams.